NPC Alchemist Nate provides the service of giving special/extra qualities to your equipment by combining your items with special materials. Right-click your item to find out which stats can be added. 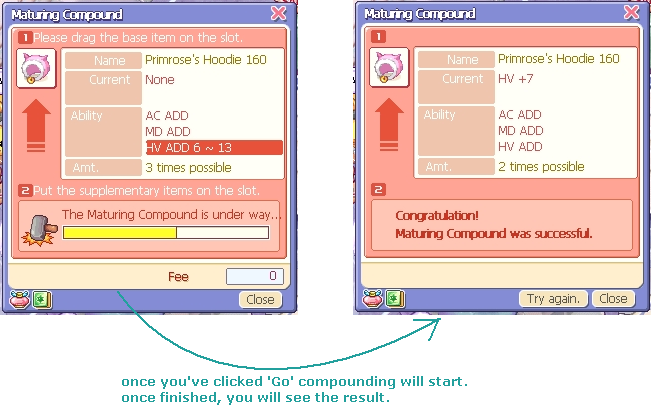 Items needed for mature compounding can be found by drilling and killing monsters. 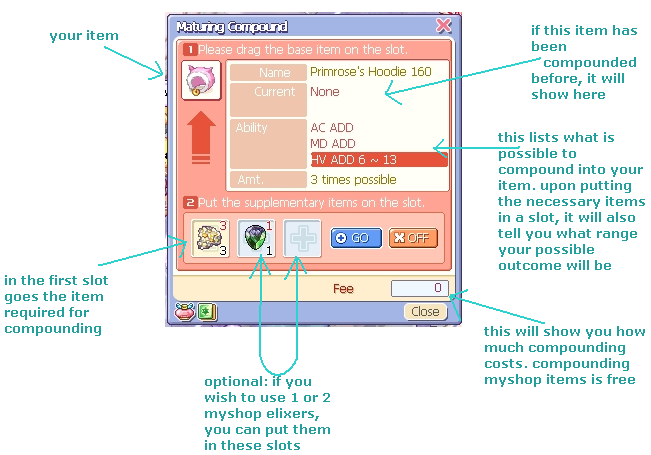 It is possible to use lower-level items for higher-level equipment, but it is not possible to use higher-level items for lower-level equipment. Elixirs are mysterious stones that may boost the compound materials and raise the minimum or maximum value (depending on the Elixir of your choice). Depending on the colors, certain Elixirs can be used together. If you wish to reset a compound slot, you will need Nate’s Bottle. 1 Nate’s Bottle will free up 1 compound slot. Elixirs and Nate’s Bottle can be purchased through MyShop. Elixirs also can be dug up in Gacha Towns, and Nate’s Bottle may also appear from a Level Up Box.